We reside in Aspra, a fishing village just a few kilometers from Palermo, where, since 1947, we managed to create an entrepreneurial reality of major importance in the branch of the anchovy conservation. 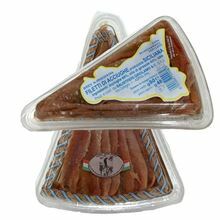 primary interest of our company is to provide customers the best quality anchovies that we present in jars and boxes, perfectly ripe and colored pink, obtained by selecting in the right months (May-June) the best anchovies, fished in the Sicilian coast and Spanish. And it is in this context that we are pleased to be one of the few who still personally supervise the production of salted fish and pickled. With passion and perseverance we have been pursuing this commitment, creating a factory of 4000 sqm., Making use exclusively of highly skilled labor. Our company has obtained the EEC recognition to guarantee the excellent quality and as a reward for an activity carried out in compliance with laws and health standards at European level. Crucial in all this was the fifty years of experience of the founder of our family "grandfather Battista" who, born fisherman and therefore deep knowledge of the secrets of the sea, he managed over the years to start a great company of canned fish whose principal feature it is to offer a quality product by following the ancient techniques. 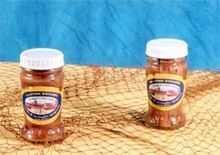 In 2014, the Balistreri Girolamo & CSnc received the award for excellence Sicilian food and wine "BEST IN SICILY" Best canning company.